Announcing a unique CMTE opportunity to learn about Music and the PTSD Brain in Military Veterans and earn 28 CMTE credits. 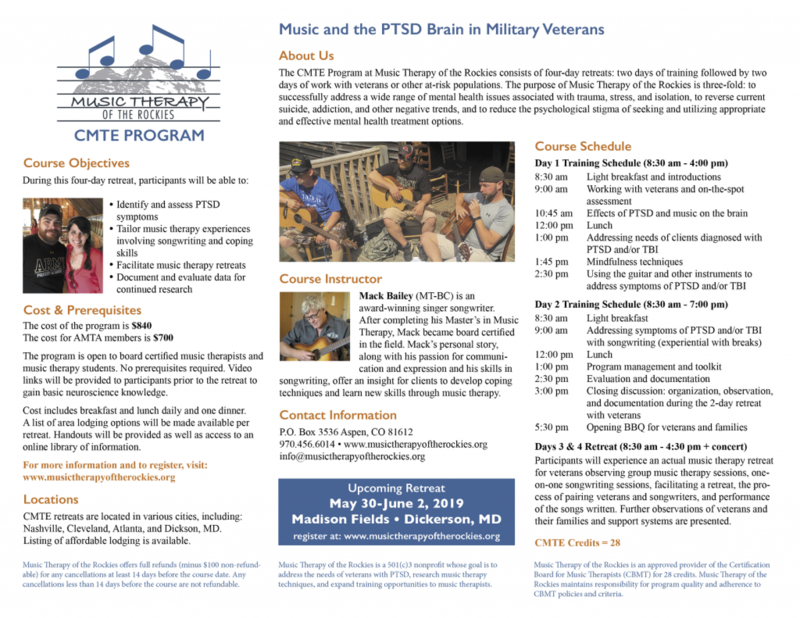 This special program is taught by a MT-BC, who created and developed the concept, and combines lecture, experiential, and hands on experience in a music therapy retreat for veterans. The date is May 30-June 2 in Dickerson, MD, which is 45 minutes outside DC. For more info: contact info@musictherapyoftherockies.org or visit www.musictherapyoftherockies.org.